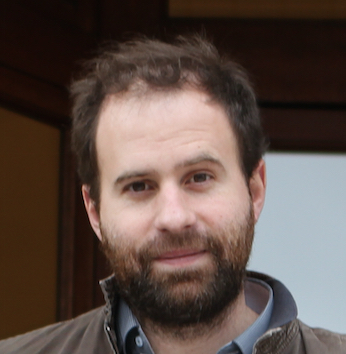 I am currently the scientific leader of COATI, a joint project-team between the research center of Inria Sophia Antipolis - Méditerranée and the I3S laboratory which itself belongs to the CNRS and the University Nice - Sophia Antipolis (UNS). I received a Master degree in Computer Science from ENS Lyon and UCBL in 1997, a PhD in Computer Science from UNS in 2001, and the Habilitation à Diriger des Recherches in 2010. I did a post-doc in 2002 at Universitat Polytècnica de Catalunya (UPC), DMA4, Barcelona, Spain. 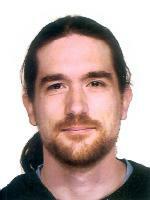 In September 2002, I became Chargé de Recherche at Inria Sophia Antipolis. I was a member of the joint project-team Mascotte between INRIA and the I3S laboratory(CNRS/UNS) till December 2012. I was team vice-leader of Mascotte from July 2006 till March 2011, and then the scientific leader of the team till December 2012. In January 2013, we started the new joint project-team COATI. In 2016, I have been promoted Research Director. Active projects: EA EfDyNet (2019-2021), ANR MultiMod (2018-2021). Attended Workshop Complexité et algorithmes -- Roscoff, France -- April 3-5, 2019. Laurent Viennot and myself will present recent achievements of ANR MULTIMOD. MULTIMOD Project meeting of ANR project MultiMod -- Roscoff, France -- April 1-2, 2019. Keynote speaker at the 21ème Rencontres Francophones sur les Aspects Algorithmiques des Télécommunications (AlgoTel 2019) -- Saint Laurent de la Cabrerisse, France -- June 3-7, 2019. See the online proceedings in HAL. I will present what we did to win the Flinders Hamiltonian Cycle Problem Challenge. CoRes 2019 Attend the 4e Rencontres Francophones sur la Conception de Protocoles, l'Evaluation de Performance et l'Expérimentation des Réseaux de Communication (CoRes 2019) -- Saint Laurent de la Cabrerisse, France -- June 2-3, 2019. See the online proceedings in HAL. Attend the Journées non-thématiques RESCOM of GDR RSD -- Grenoble, France -- January 17-18, 2019. Visit at UAI and DIM/Univ. Chile in the context of Inria associated team AlDyNet -- Santiago, Chile -- November 30 - December 15, 2018. Attend Rencontres Inria-Industries (RII) sur la mobilité intelligente -- Station-F, Paris, France -- November 20, 2018. Member (and president) of PhD committee of Amine Ait-Ouahmed -- Avignon, France -- October 15, 2018. Referee and member of HDR committee of Fen Zhou -- Avignon, France -- September 26, 2018. MULTIMOD Project meeting of ANR project MultiMod -- Sophia Antipolis, France -- September 11, 2018. This summer, I was a mentor for Sagemath in the context of Google Summer of Code. The students, Sai Harsh Tondomker and Meghana M. Reddy have implemented, among others, algorithms for decomposing a graph into 3-connected components and organizing these componens as a SPQR-tree. See tickets #22157 and #25598 and the projects reports of Sai Harsh Tondomker and Meghana M. Reddy. Attend (and organize) Summer School RESCOM 2018 of pôle RESCOM of GDR RSD on Apprentissage et fouille de données dans les réseaux -- Porquerolles, France -- June 18-22, 2018. This summer, I'm mentoring students in the context of Google Summer of Code. 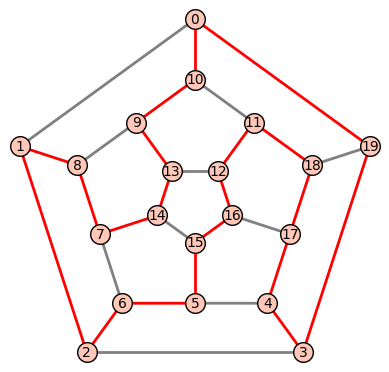 The goal is to implement decomposition into 3-connected components of a graph, and the construction of a SPQR-tree in Sagemath. Attended (Examinator) the PhD defense of Jianding Guo: "Theoretical research on graph coloring - Application to resource allocation in device-to-device 4G radio system (LTE)" -- Université de Belfort Franche-Comté -- June 6, 2018. Attend the 20ème Rencontres Francophones sur les Aspects Algorithmiques des Télécommunications (AlgoTel 2018) -- Roscoff, France -- May 29 - June 1, 2018. See the online proceedings in HAL. I will present the paper Modèle d'optimisation pour la défragmentation de la capacité. CoRes 2018 Attend the 3ème Rencontres Francophones sur la Conception de Protocoles, l'Evaluation de Performance et l'Expérimentation des Réseaux de Communication (CoRes 2018) -- Roscoff, France -- May 28-29, 2018. See the online proceedings in HAL. Seminar On the Flinders Hamiltonian Cycle Problem Challenge -- Sophia Antipolis, France -- April 3, 2018. Attend the Journées non-thématiques RESCOM of GDR RSD -- Toulouse, France -- January 18-19, 2018. MULTIMOD Kickoff meeting of ANR project MultiMod -- Sophia Antipolis, France -- January 10, 2018. © David Coudert. All rights reserved.